My experience has been okay. I think that maintenance could be better. its takes days for someone to fix something simple ware and tear to the apartment. If its an maintenance emergency no one answers or calls back until late the next day. Mrs. Jewel is wonderful she has always done as much as she can to make sure we have everything we need. I think she needs better employees, and it would make her job a little bit easier. Excellent place to live! Nice and quiet little complex. Crime is relatively low. Good place to live if you’re new to the area. Pretty much right in the middle of Murfreesboro. Really nice and quite. Office staff very friendly and helpful. Move in date was on point when I needed it. Maintenance promptly answers calls and requests. I have lived in Green Meadows for over a year now!! I have had the best experiences especially with the office personal.. Mrs Jewel is the sweetest person I know and she is always willing to help in any way she can!! Great place to live. Very peaceful and quiet residence. The staff is amazing and friendly. 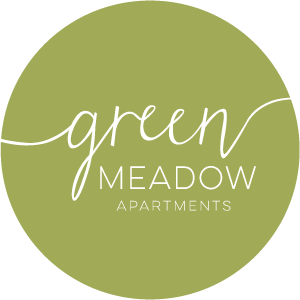 I would recommend Green Meadow Apartments to anyone that’s looking for a affordable place to live. I have lived here for 7 years and I haven't had any major problems with my neighbors, or any of the staff. I had 1 big leak underground and it was taken care of. Property is looking better. Staff is friendly, fair, & helpful. Maintenance could use some more knowledgeable help. Overall, it is a nice, safe place for my children and I. Any issues that I have had, and there have been very few of them, they have been taken care of very quickly!! I am completely happy here!! And after being here about 2 months, I am pretty much settled in!! Reasonable place for a single mom with two kids. It's a nice place for children since it has a pool and playground. It's a clean and the staff is always willing to help. The community is nice. The office staff is knowledgeable and friendly. Maintenance staff is quick. The pool is nice and well kept. The landscape is very nice. Our community is always well kept, and it's a very nice quiet place to live. The neighbors are really friendly, and the staff is very helpful when needed. Everything is great. Good communication between me an management. I wish the pool area was bigger. A sitting area by the playground an a basketball court for our youth would be wonderful. Me and my children really like living here. My children have made lots of friends and we like the convenience of the location. It allows my children the convenience of walking to and from school. It’s also conveniently located within walking distance to several stores. I haven’t been moved in long but I really love it here and the neighbors are great!! The landlady Jewel is awesome!! The environment is great as well!!! Green Meadows is a nice, fairly quiet apartment complex that is well priced. They are doing alot of upgrading the the apartments and the grounds of the complex. All of the changes take some getting used to but they are improving our living space. I love our home. It is clean and we'll maintained. The rent is very affordable. My kids have made many friends. The schools are nice. I feel that Green Meadow Apartment staff is kind and knowledgeable. They work hard to ensure we have a safe place to call home. Green meadow has been an overall positive experience. Staff is quick at addressing issues and the community is overall safe and clean. I feel at home here. I have only been a resident for 1 month but within that time, all of my needs and concerns were met and addressed. The property is clean and the staff is very friendly.